During the Soviet Union the Georgian town of Tskaltubo was a popular health destination famed for its therapeutic water and sanatoriums. Four trains arrived daily full of guests from Moscow. 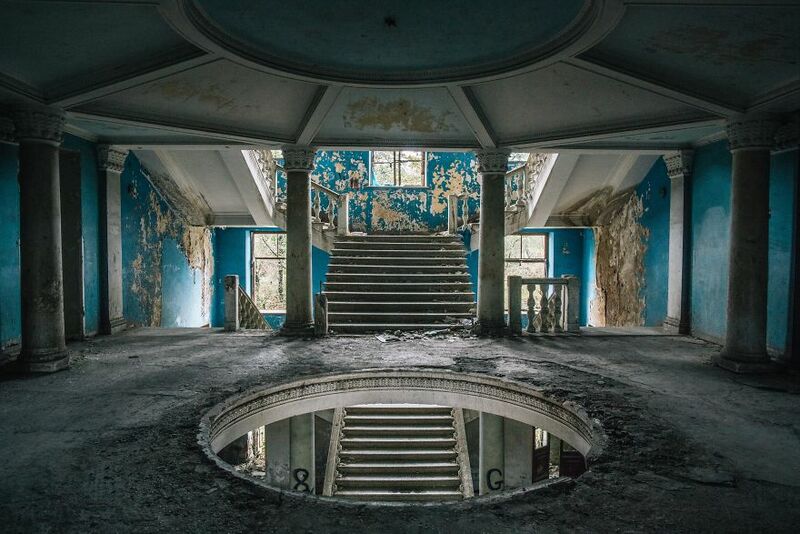 When the Soviet Union collapsed, the buildings were abandoned and fell into decay. Floors have been ripped up for firewood, the metal salvaged as scrap. In 1992 a war in nearby Abkhazia broke out. Displaced Georgians fled from the conflict and were given temporary shelter in Tskaltubo’s unoccupied buildings. Twenty-five years later, hundreds of families remain living in these architectural remains of a Soviet past. During the heyday of the Soviet Union from the 1960’s to 1980’s some 100,000+ visitors a year including Stalin and his high-ranking officials from Moscow, frequented these facilities. The town was renowned for its therapeutic radon-carbonate mineral spring water believed to treat an array of ailments. 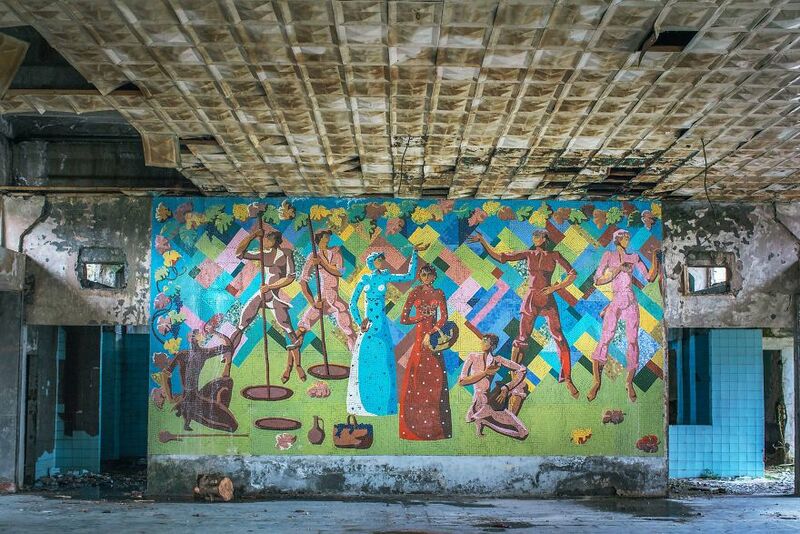 The general public of the USSR were obliged to visit sanatoriums annually to revitalize which was intended to sustain a healthy and productive workforce. Several masterplans by architects resulted in 22 different sanatorium buildings with hundreds of hotel rooms, spas, bathhouses and in-patient facilities. Bath houses where patients were treated with radon-carbonate mineral spring water. On Stalin’s personal bath house, a scene depicts him being welcomed by locals. Facade of a sanatorium building where hundreds of displaced people from Abkhazia now live in makeshift shelters. 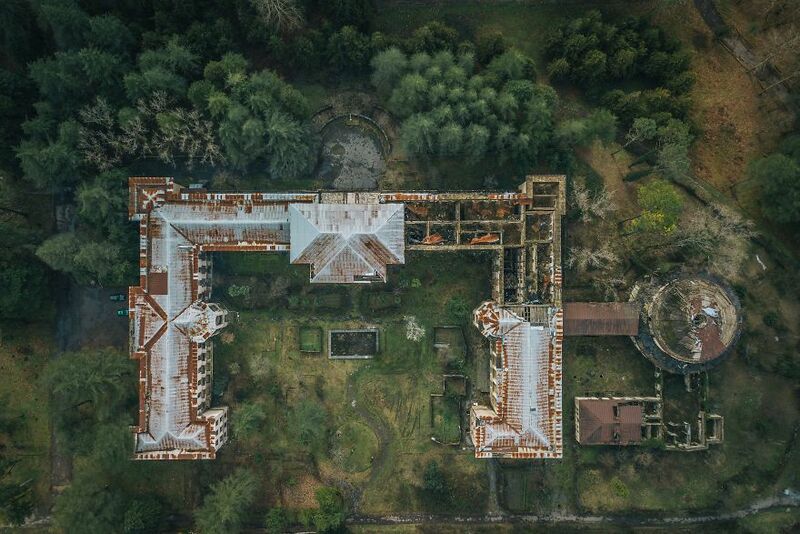 Almost 10,000 people displaced by the 1992-1993 war in the breakaway region of Abkhazia created makeshift shelters within these derelict abandoned buildings. 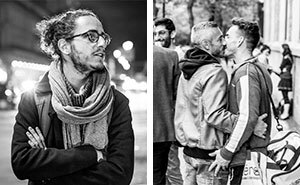 Many have lived here for over 25 years despite the Georgian government’s plan to use the sanatoriums only as temporary housing for people fleeing the conflict. Like most of the approximately 800 Internationally Displaced People still living in Tskaltubo’s former Sanatoriums, Radisha fled from Abkhazia in 1992. With 12 members of his family he walked over 100 km by foot with a bullet wound to the leg. Upon arrival in Georgia his injured leg was amputated. Here he is pictured in his home, once a functioning hotel named Samgurali. Over the years, metal pipes and wires have been removed from the buildings to sell as scrap. 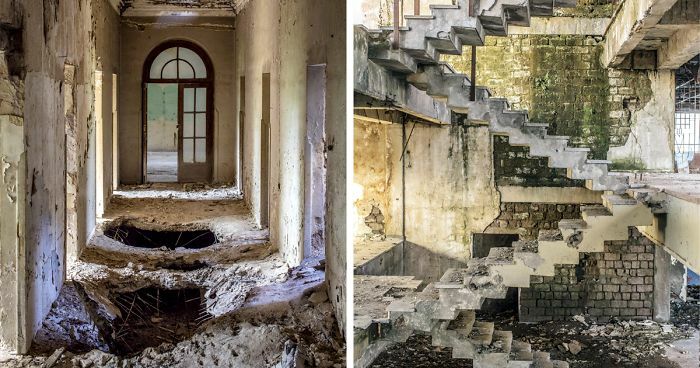 While many of Tskaltubo’s former hotels and sanatoriums have fallen into decay, several of the largest buildings have been sold to private investors. There are plans to redevelop the town and invest millions of dollars into the reconstruction and renovation of some spa buildings. The displaced people from Abkhazia have been told that they will be moved into new homes, however this transformation has been slow. Much of the original architecture in Tskaltubo will be removed, along with the artifacts, objects and decorations which remain. The town’s abandoned post office is full of old postcards and stamps from the 1960’s and 70’s. Tskaltubo’s train station once saw four trains arriving daily from Moscow, packed with guests visiting from within the Soviet Union. 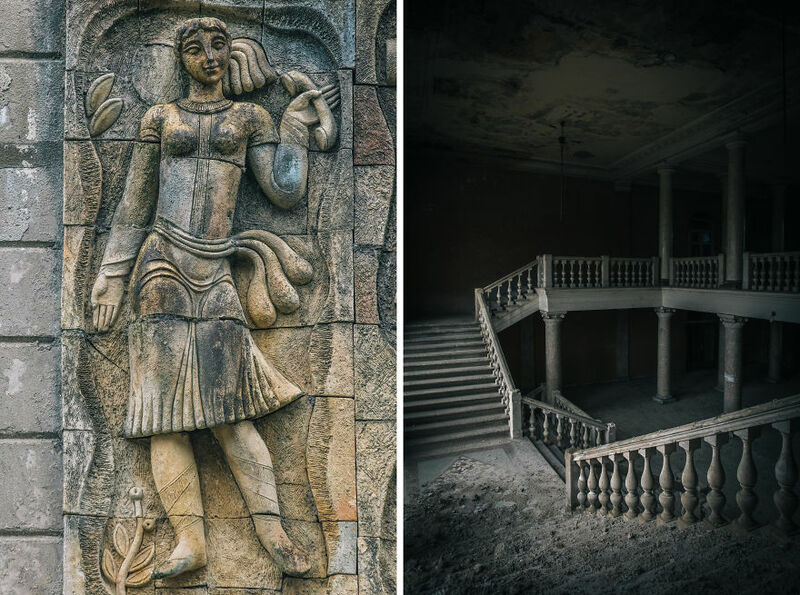 These ruins reveal architectural and ideological dreams, offering a window into Georgia’s Soviet past. Ryan Koopmans (BA, MFA) is a photographer who focuses on the relationship between the built environment and our natural world. Celebrated for his architecture photography, he works on both commissioned and personal projects around the world.